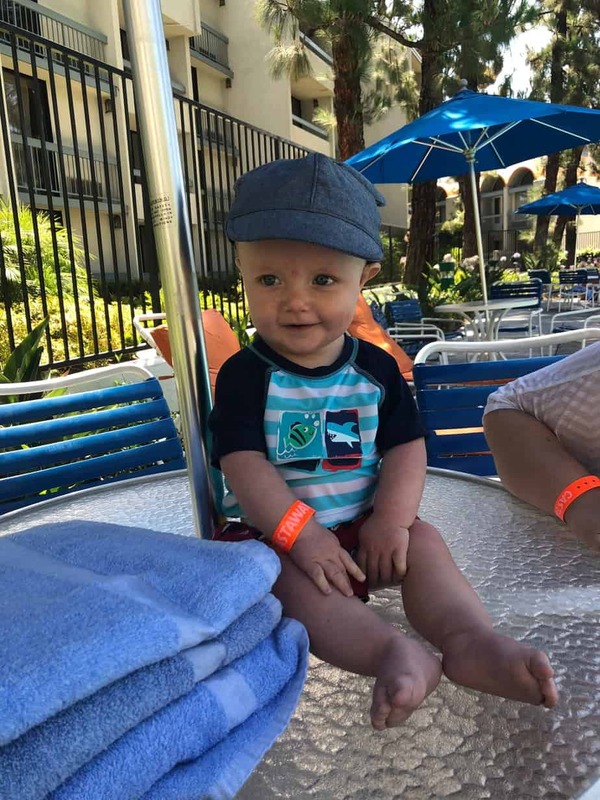 We were so stoked to stay at The Howard Johnson Anaheim Hotel & Water playground during our last Disney trip. The “HoJo” sits directly across from Disneyland Resort and the beautiful Matterhorn Mountain. The hotel sits on a 7 acre lot full of gardens and secluded walkways. The best part is that the walk is only 8 minutes from the hotel lobby to Disneyland’s security line, we timed it. 😉 This made it very convenient to walk back to our room when we needed to escape the heat of summer or take a cranky baby to have a nap. 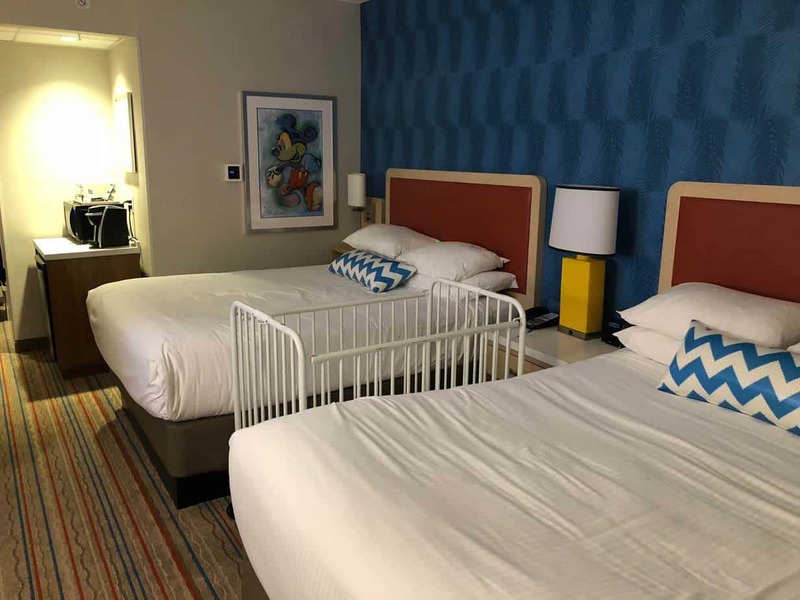 The hotel has over 300 rooms with different options including double, queen, king beds and even newly built pirate themed kids suites with two rooms. We stayed in a premium 2 queen room with an amazing view. I still can’t believe how perfect our view of the Matterhorn and more importantly the fireworks were. We arrived to our hotel on the first night at the perfect time to watch the incredible “Together Forever” firework show right from our balcony and Beckham loved it, and so did I! I think it’s safe to say Beckham got his obsession for fireworks from me. The rooms have all been recently remodeled in early 2018. We just loved how bright and fun the room was. It was accented with bright blues and oranges as well as fun Disney themed artwork. The most important thing we look for in a hotel is cleanliness and our room was very clean. The housekeeping team did a great job of keeping things tidy and fresh during our stay. 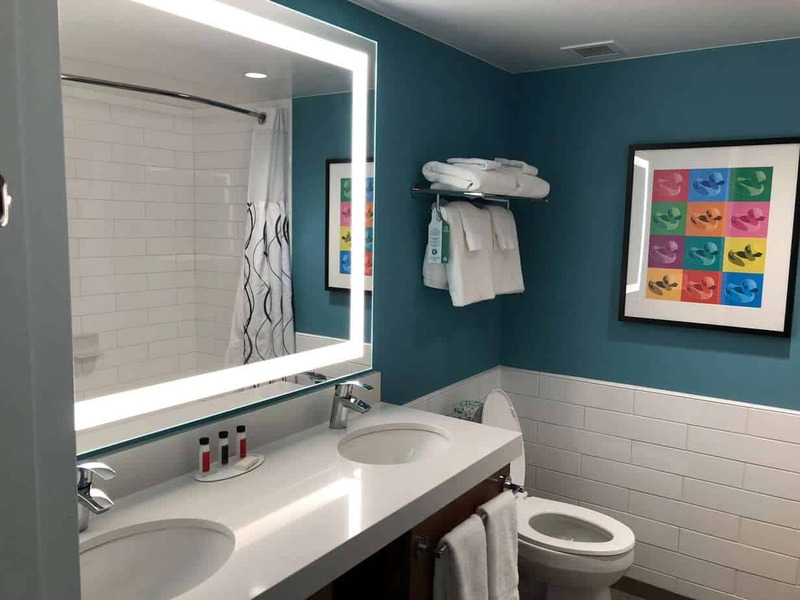 Our favorite things about the rooms were: Mom- The light up mirror over the double sink vanity making it nice and easy to get ready. Plus the bathroom light turned on by itself whenever we walked in! Dad- The smart TV that had built in Netflix, Amazon Prime, Youtube, etc and Wi-fi for working. 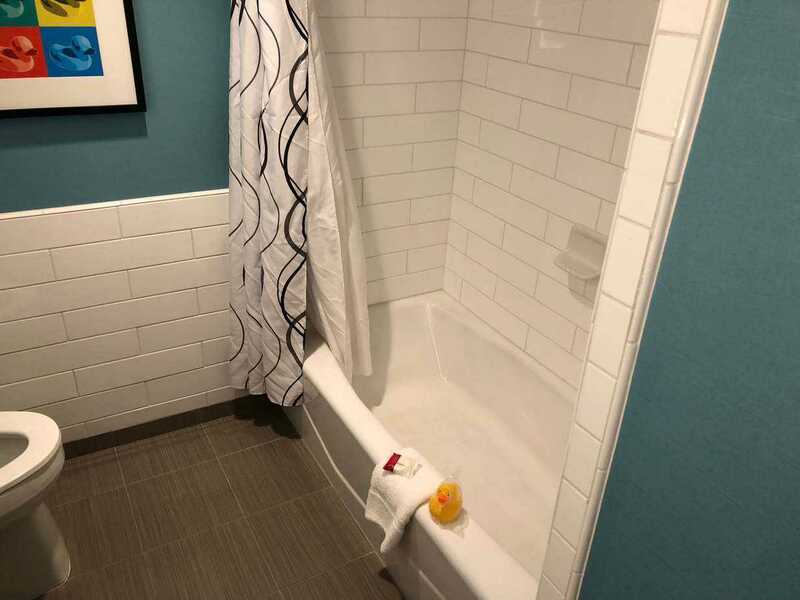 Baby Beckham – Hamm loved the rubber ducky that they left for him at check in for his baths. The thing that really sets this hotel apart from the rest is it’s watery pirate themed playground, Castaway Cove! 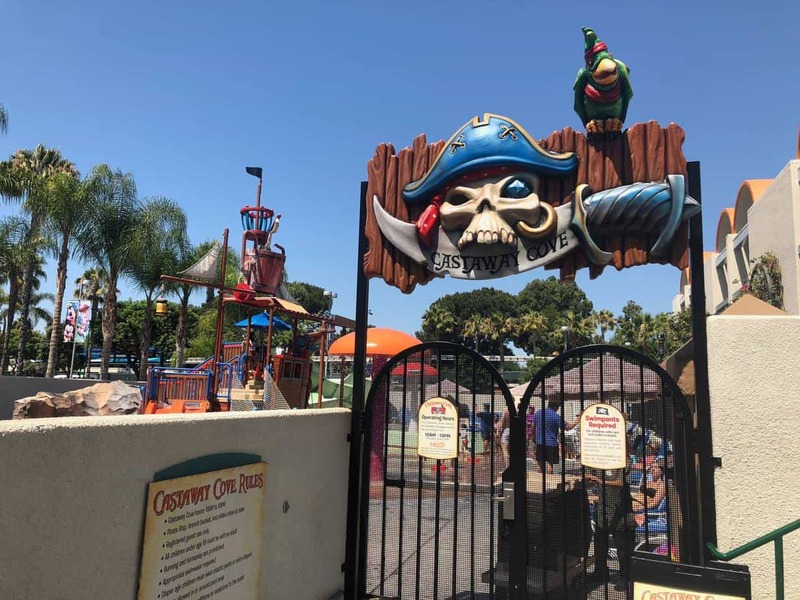 As part of your stay you get unlimited access to this fun water playground full of slides, water cannons, a 200 gallon drench bucket and so much more. Beckham was a little too young to truly appreciate this part but we all still loved getting wet and cooling off on a hot summer day. The hotel also has a seperate garden pool if you would rather just jump in and go for a swim. Beckham completely loved swimming and wasn’t pleased with us when we got out. I guess we’ll just have to go back! Although the hotel does not serve breakfast there are plenty of close dining options. If you just need a quick snack or drink the hotel market has just what you need. 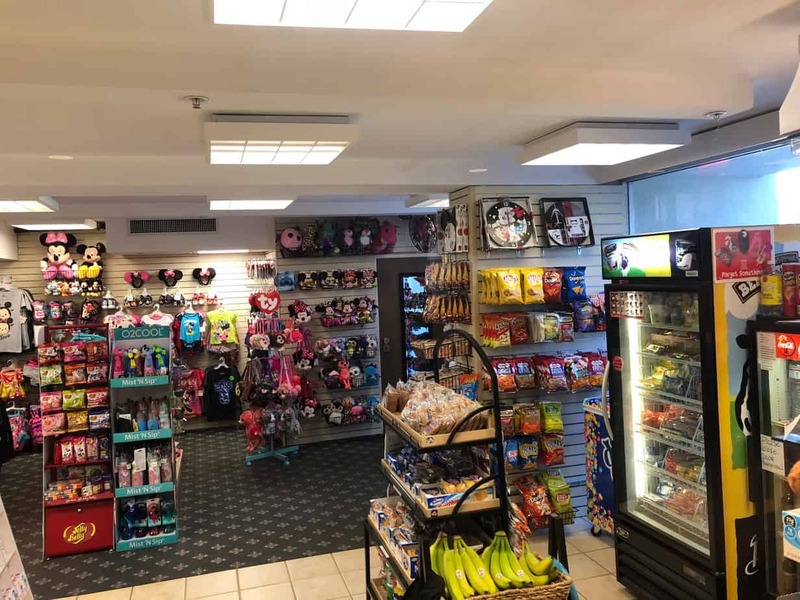 It is also the perfect stop to grab any miscellaneous supplies you may need during your stay. If you forgot to pack your disney wear the market is full of Disney clothing and other souvenirs. Located right across the street from the hotel is Mimi’s Cafe, Panera Bread and good ole Mc. Donalds. All three of these restaurants serve breakfast, lunch and dinner. One other quick thing to note is that parking is free which is awesome because most hotels charge $18+/night. 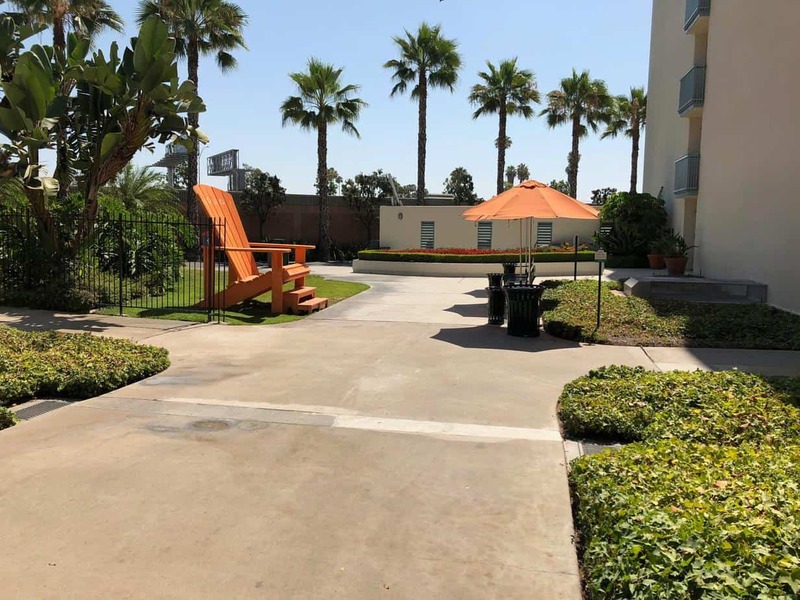 Overall we seriously loved our stay at the Howard Johnson Anaheim Hotel and we will definitely be going back. 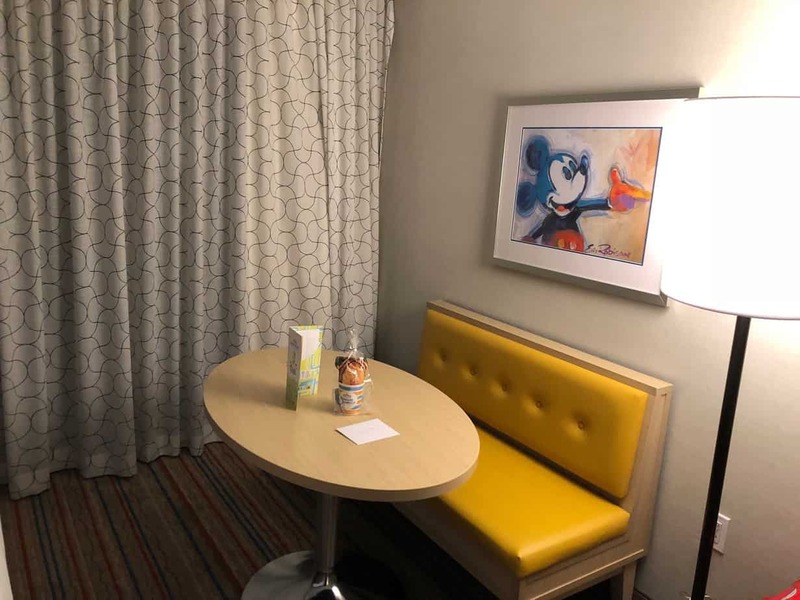 The location, price, views and water park seriously make it the perfect family hotel for your next trip to Disneyland. GREAT NEWS!!! 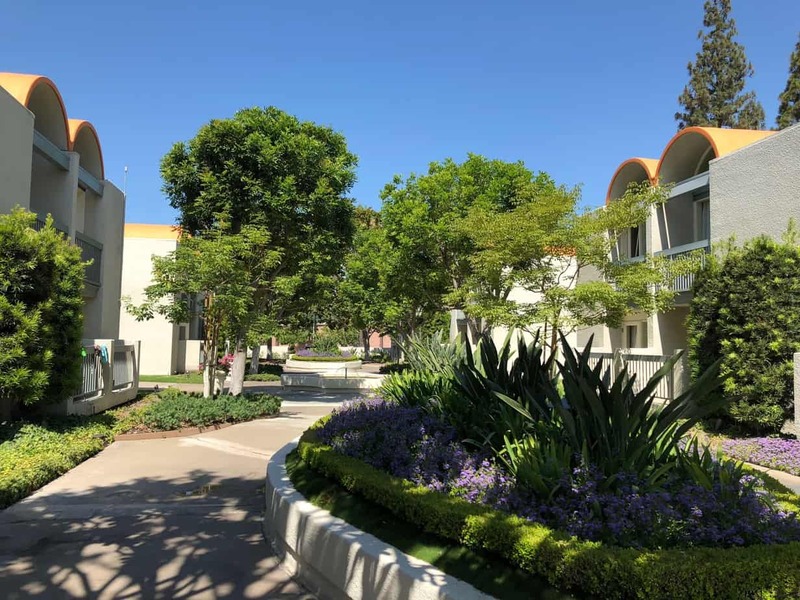 If you are planning a Disneyland trip and want a great place to stay Howard Johnson Anaheim has offered to give our followers/readers a great deal. 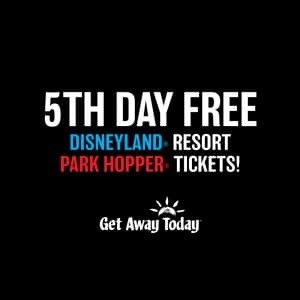 If you book online at www.hojoanaheim.com and use code LNLR you will get 15% off your stay. You can also call to make your reservation: 714-776-6120, just make sure to use the code to take advantage of that great deal.